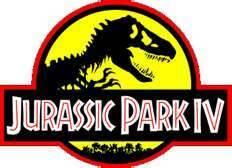 Jurassic Park 4 coming within 2 years! Producer Frank Marshall said during an interview promoting The Bourne Legacy, that a fourth Jurassic Park movie would, "be on the screen within two years." Marshall went on to reveal that it will be a summer release and that Jurassic Park 4 will indeed be a true sequel and not a reboot. Steven Spielberg confirmed earlier this year that he would not be directing the film, but would be heavily involved in developing the story. You can read the full post over on Collider.